FOMO is real, and I know you might have experienced it – if you are a Social Media addict. Did you connect with your friends online? Posted a picture on Instagram? Currently, 77% of the Americans have a social media account of some kind. We usually hear about how technology has made our lives easier, but how many of the so-called intellectuals or developers have put light on the damage caused by social media? How does frequent use of smartphones and surfing has affected our behavior and real social relationships? Among the teens, especially girls who spend more than 5 hours on social media develops 50% more of the depression condition unlike those who use the Internet for 1 to 3 hours a day. Bryan Fox, who is serving as the Manager at the Adolescent Recovery Center says that he’s not surprised with looking at the higher reports of the girls compared to the boys. This is because it’s always been the girls who report depression symptoms more compared with the boys. Another research also has shown that girls have reportedly higher social media usage than the boys. Like, almost 21.9% of boys agreed that they use social media for 2 to 3 hours in a day for which 43.1% of the girls mentioned the same. So, how can you know when social media leads to depression? We all know one fact that social media is not going to go anywhere, so there’s no point in ignoring it. Yes, you can reduce the hours you spend on it, decrease the 4-5 hours usage in a day. Also, there are many app blockers available on Play Store or App Store that can help you with reducing the app usage, and increase your productivity. If you are using way too much of social media, it will definitely harm your peace and mental health. Reduce the usage or set the blockers for saving yourself from negative vibes and all the FOMO. Who doesn’t wish to have privacy in life? We are not actually concerned about it, but maybe something more important than our lives. Smartphone Privacy. We got so many personal stuff inside the phones these days, which ought to be safe, making it only accessible to the owner of the phone. It could be the images, messages, contact details, and even the bank account details. They should be kept safe with you, and I must say – we have made all these info vulnerable by setting them up on the phones. Still, phones have made many works easy, and it is even handy too. Can’t put all the blame on the phone! 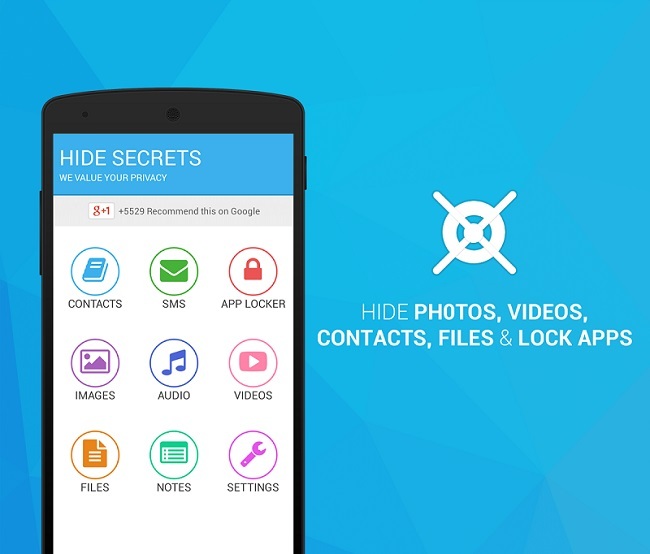 Lock some particular apps, and keep the Photos & Videos hidden from others. This is the most common one of all, and an effective one too. You can also use the Folder Lock thing and keep all your personal stuff in it, and lock it up. You can use it for desktop PCs, smartphones as well as laptops too. Password, PIN or go with the Pattern. I am pretty sure, you guys are familiar with these terms. Pattern lock or the PIN. This one is the basic security utility which is found in most of the Android phones. You could either draw a pattern or go with a 4-digit or 6-digit PIN number as per the setting offered on your phone. Create a Cloud-backup that will serve the purpose. If you are using any locking apps like the App Lock or the Gallery Vault, then you could get the chance to save your selected items and store them in a backup Cloud. Check free app to lock photos and your important documents. The files can be also shared to the Dropbox, through which you could access the photo or the video from a remote place. These are some of the ways in which you could keep your smartphone safe from unwanted sources. This can also work against those naughty kids who simply take your phone for playing games. Smartphone Privacy is important and a Must. You can keep a check on this basic fundamental right by Choosing the right way out. In case if you’re still searching for a messaging app which has got a better user interface than any other and also it looks more impressive and elegant than any other messaging app then you should try out LINE app. I’m here with a guide using which you’ll get LINE APK for Android free download and I’ll also share features of LINE app which makes it better messenger than any other. Certainly there are lots of messaging apps available these days but how to find the best among them. I know that all of your friends are on WhatsApp and they are regularly using the same but still you can recommend LINE to your friends and I’m sure all of your friends will like using this amazing free application. I’m mentioning the features of LINE for Android APK first so that you can know what all you’re going to experience in this amazing app and why I’m recommending LINE over any other messaging app. 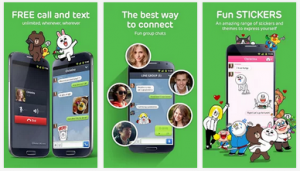 Following are the features of LINE messaging app which offer free calls and messages feature. As usual LINE app allows users to make free calls and send unlimited number of free text messages so that they can be in touch with all of their friends. The text messages which are sent using this messenger are delivered instantly while you can expect better (near to high definition) quality in voice and video calls. Yes, it also offer free video calls in case if your smartphone or tablet is having front facing camera. It even provides quick notification to whatever related to you going on within the app like anyone sent you a message or calling you or share any document or picture or video. You can’t miss any moment due to these live quick notifications. The user interface of this app is extremely elegant. You can’t expect better user interface than this app and I’m sure UI will make you addicted. The app allow users to share pictures, videos and funny emoticons and graphical stickers which are provided for free. This is how LINE app helps users to make a conversation better than before. Users can also share their current location with their friends. It creates your profile within few seconds and it also got a timeline feature where you can put on your personal information along with a profile picture. It also got accounts of famous celebrities and you’ll get their profile for free. You can start chatting with them directly within the app. This is another unique feature provided by this awesome messenger. You can download the APK of LINE app for Android from the download link mentioned above. 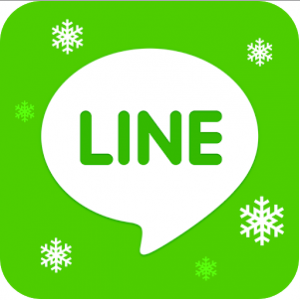 This link will get you latest version of LINE for Android APK. You can use this APK file to install LINE app on any Android device and can also share this with your friends.